On 6th April 2016 Dato' Dr Kamarudin Ab-Malek, CEO of TARRC, attended the 'Turning Tyres Green' book launch at the Dorsett Subang Hotel in Subang Jaya, Selangor, Malaysia. 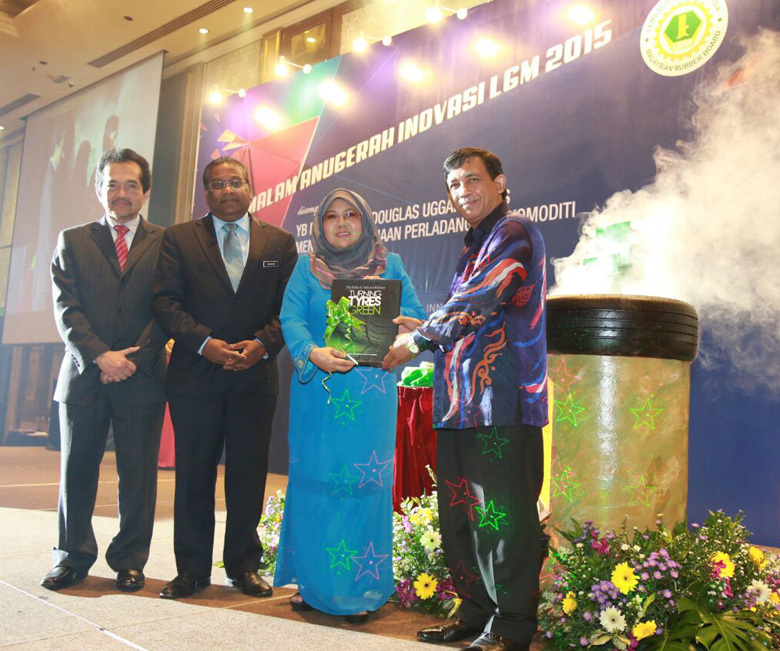 The book launch was by the Deputy Minister of Plantation Industries & Commodities, YB Dato' Noriah Binti Kasnon. A copy of the book was also presented to the Deputy Minister by the Director General of the Malaysian Rubber Board, Datuk Dr Mohd Akbar bin Md Said. The book covers the role of natural rubber in green tyre technology and was written to mark the Tun Abdul Razak Research Centre’s (TARRC, the UK R&D laboratory of the Malaysian Rubber Board) involvement for more than 60 years with tyre technology research & development. The book presents a comprehensive account of the remarkable research findings related to tyres leading to advancement in the tyre industry and safer, more sustainable tyres. L-R: Dato' Dr Kamarudin Ab-Malek (CEO TARRC), Datuk Dr Sundaran Annamalai (Ministry Secretary General), YB Dato' Noriah Binti Kasnon (Deputy Minister Plantation Industries & Commodities) and Datuk Dr Mohd Akbar bin Md Said (Director General of the Malaysian Rubber Board) at the book launch in Malaysia.